If you’re an amateur looking to make your projects more Etsy friendly, consider a visit to this one-stop yarn shop. Blocking 101, held every few months, is a seminar on constructing even rows and tidy edges (necessary for a polished final product), while the monthly tutorial Fixing Knitting Mistakes has veteran staffers dispensing tips on tough-to-finish seams and dropped stitches. For more personalized instruction, you can set up a private session. The Eastside boutique holds twice-weekly Learn to Knit beginner classes. Owner Kat Coyle goes over the basics—casting on your first stitches, handling loose tails—to ensure that even the most maladroit among us can complete a simple scarf. Materials are 10 percent off during class, so peruse the impressive selection of natural fibers (including Malabrigo’s Uruguayan wool and the covetable Loopy Mango merino) and grab a skein or two to jump-start your stash. The light-filled space is an Eden for more experienced knitters, offering intimate three- to eight-person classes that focus on complicated designs like brioche (a wide-ribbed stitch), intarsia (color blocks), and entrelac (a basket-weave diamond pattern). The schedule rotates seasonally, so if you miss a sesh on your desired design, stay calm and try out another technique. In the meantime, drop in on one of the many trunk shows, where exquisite yarns from local makers are available as pattern inspirations. Located in the Historic Core’s the Last Bookstore, the shop has metal-mesh walls adorned with ethically sourced artisanal fibers. Browse wools that are hand dyed and made in such places as Peru, Uruguay, and the United States. 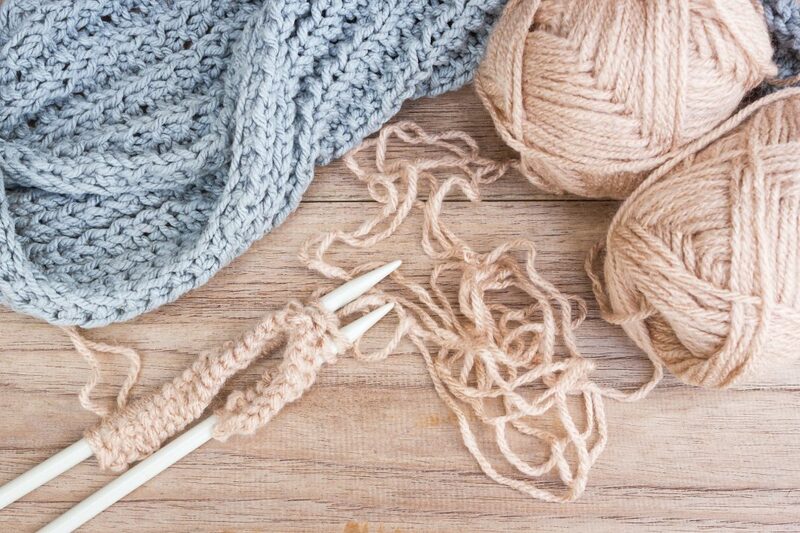 The Sunday Social, a free communal-table gathering, is open to knitters and crocheters of all skill levels; those new to the knotty craft can begin something fresh or bring a work in progress. The best part? It’s BYO snacks. It’s one thing to knit a beanie; it’s another altogether to tackle a garment as ambitious as a dress. June Grossberg in the South Bay will review your photos and notes, walking you through a custom clothing piece from start to finish. Private sessions are also available; book 24 hours in advance. Keep an eye on the calendar—the shop often hosts classes with guest instructors who can help you fulfill your Project Runway fantasies. Free Pig Roast at Bludso’s, Food Scavenger Hunt Downtown, and More!